Our family have been involved with the rebuilding of engines since the 1930’s. 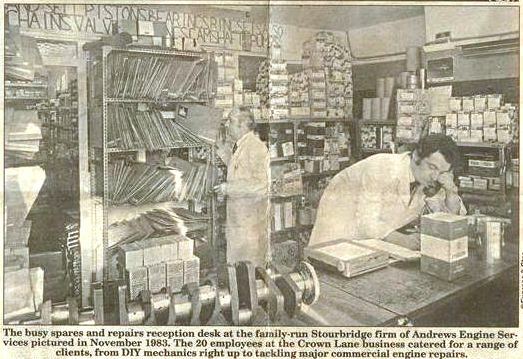 The company originally started as Westwood Trading over 19 years ago, and then merged with its sister company, to form Westwood Cylinder Liners Ltd.Duncan Andrews and his late father Paul Andrews have over 40 years experience in the engine remanufacturing industry. Our family have been involved with the rebuilding of engines since the 1930’s. Duncan Andrews Great Grandfather, Billy Andrews started an engine rebuilding company after the First World War, see photo. This obviously inspired Duncan’s Grandfather Warwick Andrews who, during the war, worked for the cylinder liner manufacturer HAGCO (Harold Andrews Grinding Company, no relation!!). This company was based in Birmingham and supplied cylinder liners for the 27 Litre Merlin V12 Spitfire engine, as well as many other applications. 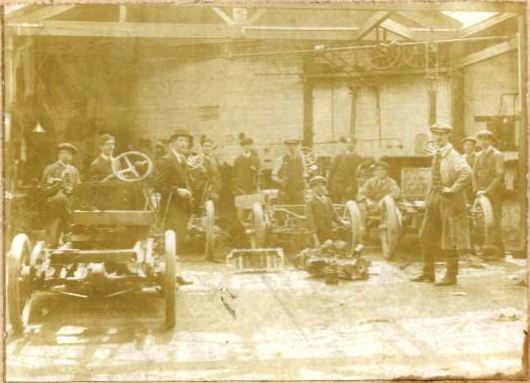 Not long after the war, Warwick started his own engine reconditioning company in Stourbridge, West Midlands. In the 1960’s Duncan’s father Paul Andrews joined the family business and eventually took control of the business in the early 80’s. See photo below for Paul at work in the stores. Duncan and his father Paul started Westwood Trading in 1996, specialising in Cylinder Liners and other engine related parts. Westwood Cylinder Liners now solely supplies Cylinder Liners and occasionally pistons and rings. Our customers include leading engine reconditioners and rebuilders; race engine builders; motorcycle specialists; vintage, historic and marine specialists, as well as o.e. manufacturers. Other customers include model steam engine makers, agricultural engineers, industrial and marine engineers. Through supplying liners for current engines as well as classic, historic, vintage and veteran cars, commercial vehicles and motorcycles Westwood has considerable in-depth expertise which is available to help clients to engineer economic and effective solutions. We produce liners for engines used in most forms of motorsport including historic saloon, single seater and sports car racing; modern and historic rallying and classic & modern bike trials and racing.